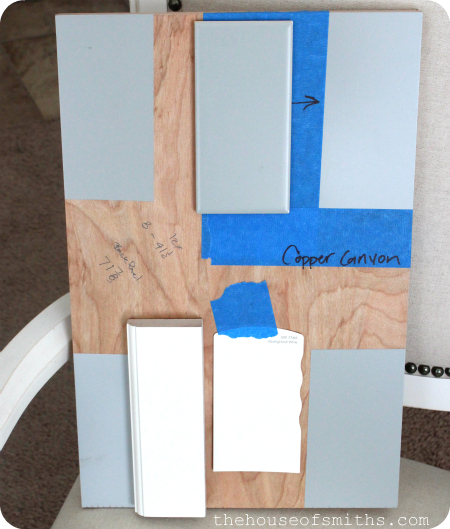 Today we're talking paint colors. What are your thoughts? Are you one of those people who walks into a store, flies by the seat of their pants, picks up the first paint swatch that catches your eye, and then ends up loving it just as much once it's on the wall? Are you the type that goes driving across town, hitting up all the paint stores, collecting a billion swatches, paying for multiple small samples of paint, stressing out and dreaming about if you should go one shade lighter or one shade darker? Well... we're somewhere in the middle. Sometimes we feel like taking a complete risk by picking out a color based on how pretty we think that tiny little swatch in the store is, and other times, we do so much research about a color that we feel like our heads are going to explode. That being said... we LOVE to paint! I've said it before and I'll say it again (for the hundredth time)... paint is THE BEST way to change and freshen up your space. For usually under $30 a gallon, you can take a dark room to a bright happy oasis in no time flat. 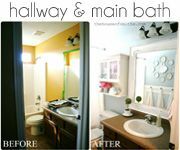 The new Show Your Colors feature lets homeowners submit their before and after photos from spaces they've redone in their own home, to share with others! 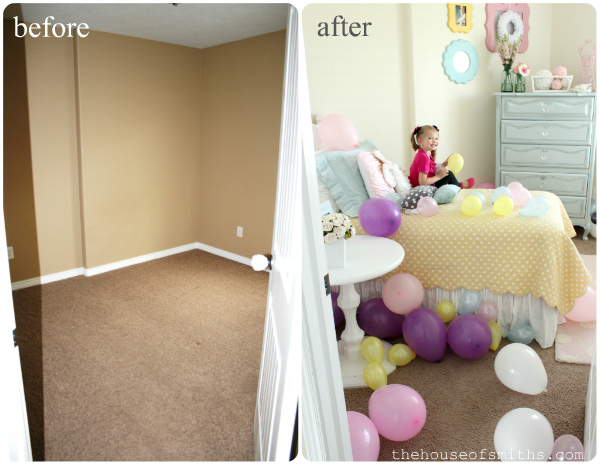 I love this idea, because first, who doesn't LOVE before and afters?... and second, I kind of have an issue with taking a peek into the lives/homes of other people, to see how they live/decorate. It simple, all you have to do is head over to the Show Your Colors page at My Colortopia.com, fill out a quick form about your before and after entry, upload a couple of pictures... and you're done! 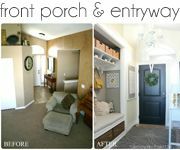 You can put your mouse over an area of any uploaded pictures and snag paint color ideas, or just simply brows the awesome before and afters for ideas to implement in your next room makeover. Either way, it's a pretty great tool to try out and get inspired by. This conversation has been sponsored by Glidden brand paint. I LOVE picking out paint colors!! Sick. I usually take about 6 swatches of each of the colors that I am deciding on. I hang them all over the room so light hits them all a different way. If I walk in the room and look at one and don't like it, it gets taken off and eliminated immediately. I do this at different times of the day until I'm down to the one that's left. It may take two days or so to get to THAT ONE, but, this method has never steered me wrong. You get a gold star for SURE! You're patient. I'm SO bad at waiting. I usually want to paint that same day, but waiting to see what the swatch looks like in different lighting is so smart! 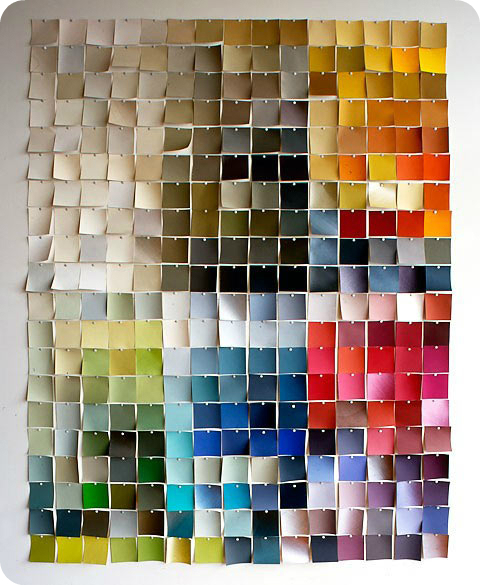 That's how I choose my flavors (colors) too Karen K. Except for when I did my dining room ~ I was a lil more skeered.... I wanted a golden yellow. I narrowed it down to 3 and decided to get a little sample container of each one, and I'm so glad that I did. The 2 that I liked on the card were way too light-bright-yellowish. HA! When I opened the 3rd container, I almost didn't put it on the wall....because it looked too orange. My friend said ~ go ahead and put it on the wall, let's see what it looks like. I'm glad she pushed me to try it ~ because that's the color I chose ~ ~ and I love it. I'd love to know the paint on that sweet blue dresser? I had my friend Sausha at Sweet Pickin's make it for me. http://www.sweetpickinsfurniture.com/ Maybe you could find the color there or ask her :) It's so pretty, I love it! Thanks! Love her site too! I'd love to know the paint on the sweet blue dresser? I LOVE your blog!! Your so talented!! I mean your hubby and you are sooo talented..lol!!! I was wondering where you got that cute rug in the laundry room?? Paint can be really tricky. After building our home and literally picking out paint for every single thing I still enjoy the process. 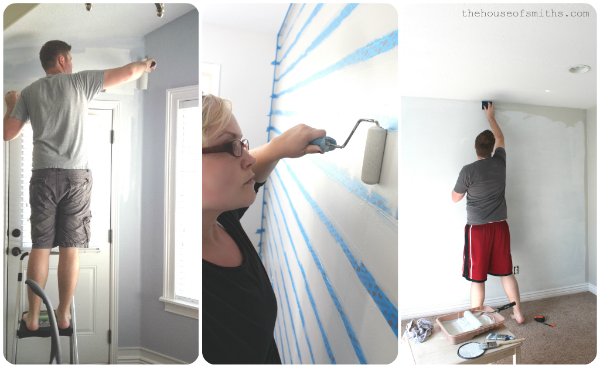 Nothing like a can of paint will change a room so dramatically for so little cash. Yes it's time consuming to paint, but supplies are way cheaper than new furniture. That's why I say I LOVE painting... but reality, I just love what paint does to a room! 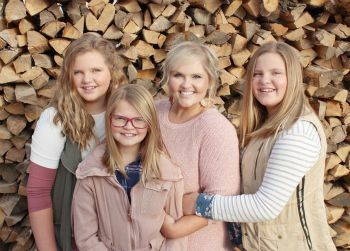 I just found your blog a week or so ago and I'm totally hooked! You and your husband are adorable. Glad you are speaking about paint, we have a new house that was painted one color by the builder and it's too dark for my liking. It actually looks like the same color as some of the before photo's you have of your house. I want to change every room but our biggest problem is that our great room is 2 stories and open to the entire front of the house. How do we change the paint color without going to the huge expense of hiring a painter...or should we just go that route? Would love to hear your thoughts/experiences! Hmm... honestly, we have vaulted ceilings (maybe not as tall as two stories) but we just borrowed an electrician-friends really tall ladder and did it ourselves. If you think it's WAY too tall to even attempt, then you might want to think about renting scaffolding or hiring it out. I also second the ladder or scaffolding. We have a small two story foyer. We did all of our own painting in the house when we built it. We also have a 25 ft. extension ladder. Lot of moving it, but it works. We also have one of those paint sticks too, so you don't have to get up and own to reload the roller. That may help too. 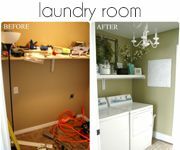 Just curious, what is the paint color you used in your laundry room? It looks green and like the color I've been looking for for my dining room? Can you help me out with the color? Thanks! I love your ideas and appreciate you sharing them with us all!!! Y'all are so cute. When you said your heart goes pitter-patter at the smell of new paint, I feel that way too...when my painters start! The problem is that I come from a non-painting family and so does my husband and we've never properly learned to paint. So we're not satisfied with our own work. And at this age...late 50's, we just skip it. And I pick my colors VERY carefuly, since they stay up awhile. 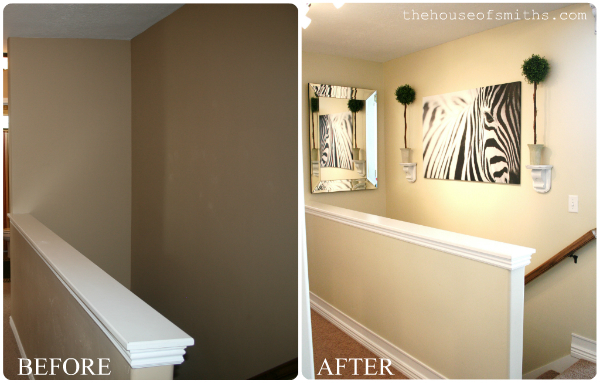 I totally agree that paint can make a huge difference! Unfortunately, my husband haaaates to paint and he won't let me do it! I don't know if I blame him though - haha! Anyway, that's a cool little website/tool. I'm going to check it out! =] Thanks! 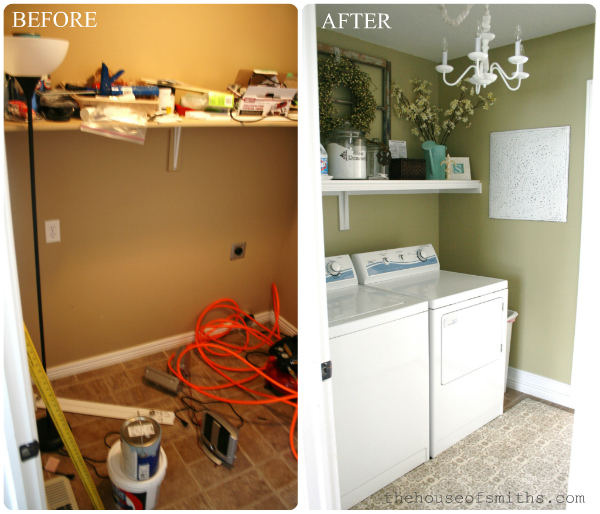 Loooooooove the green of your laundry room! Do you mind sharing the color name? And, may I just say that I ADORE your blog? Love your style, your personality, your realness, and well, everything! but when it's time to really pick colors i might be the person that really thinks about it bc i hate painting!! That color is actually called Adobe White, but it's REALLY similar to Autumn Haze, the one we have in our whole house. It has a lot of yellow in it, but is still cream based. Yellows ARE so hard! This is such an a great link! I might have to post a few before and after of my house since it had this UGLY flesh tone peach/beige color. 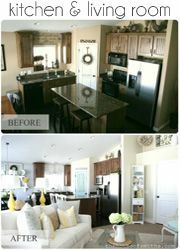 I agree, color is a great way to change the feel and jump start a new makeover! I don't think I've ever seen a washroom that looked that nice. I love it! The fanciest thing I've ever seen in one of those is a sturdy, anji mountain bamboo rug. I love how the design even takes utility into account without sacrificing the beauty. Tile in the all-too common case of leaks. Clear floor for clothes. All of the design elements are high enough to not get in the way or destroyed. Brilliant!